Treehouse offers school and group tours at a reduced admission rate. Qualifying groups are public, charter, and private schools, preschools, after-school programs, Home School groups, and scout groups. All group and school visits include directed activities for just the group and time to explore the Museum exhibits. School tours are 2 hours in length. All other group tours are 90 minutes. Minimum group size is 15 paying children, and maximum group size is 100 paying children. Treehouse membership cards are not valid for tours. Treehouse educational tour programs are designed with learning in mind. Our unique activities, centered around our exhibits, compliment classroom lessons and support the Utah State Core Curriculum. Our educational tours provide supplemental activities not offered to our general public visitors. Each school tour includes a theater activity, an art activity, and a storytelling experience in an exhibit space. 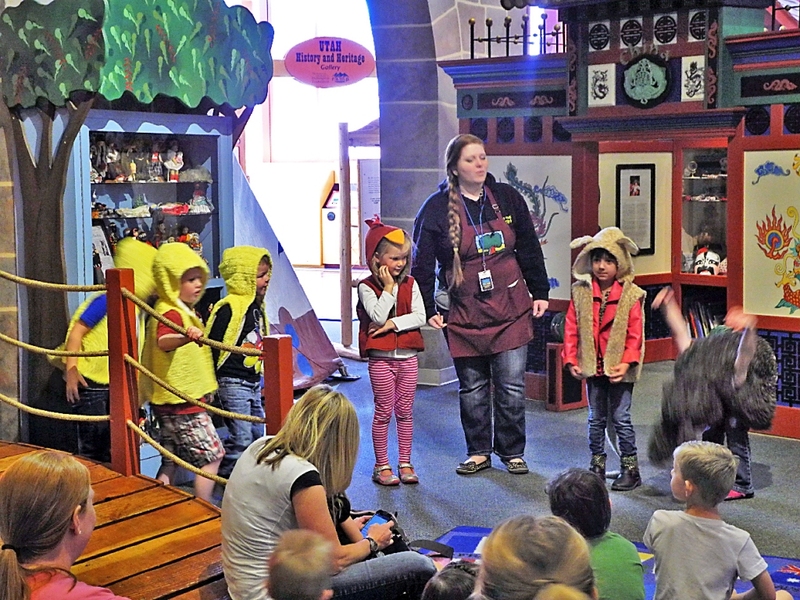 Preschool classes are welcome to visit Treehouse Museum for a special Preschool “Play With Us” Treehouse Tour. Featuring activities planned with the young child in mind, Preschool Play Tours are a great way to support your students’ reading readiness. 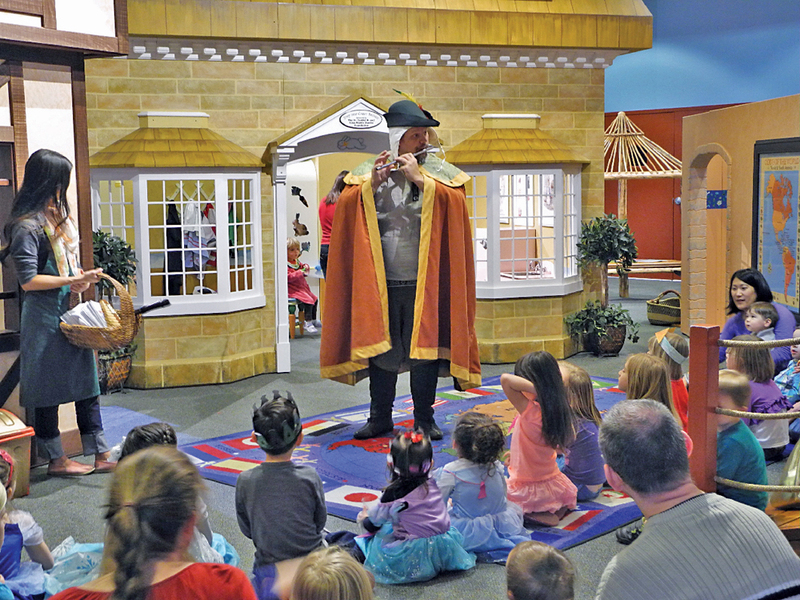 The Preschool Tour includes a storytelling activity at the beginning, time to explore exhibits, and a storytelling activity at the end of the tour. Treehouse provides afternoon tours that are centered around a different exhibit each month for Home School Groups, scouts, and after school programs that include a storytelling, an art activity, and exploration time. Treehouse offers a limited number of after-hours literacy nights at Treehouse for elementary schools and Head Start Groups. These events are for all the students and their families and are offered on many Thursday evenings throughout the school year. 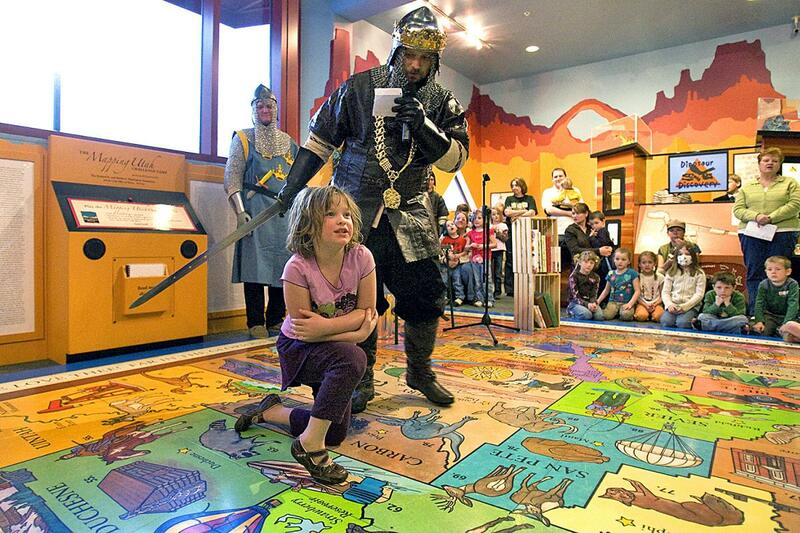 To schedule a Knight at the Museum evening, or other After Hours Event, please call 801-528-4708.